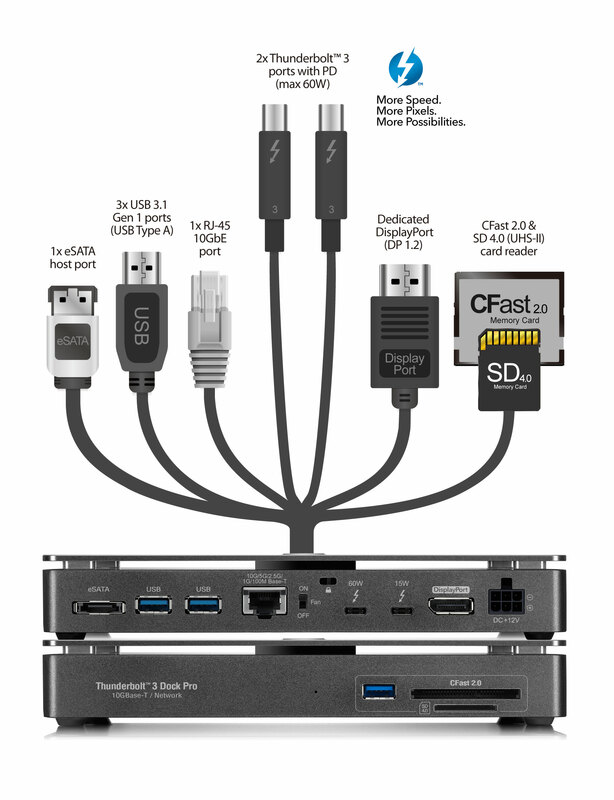 Thunderbolt™ 3 Docking Station for Professionals, with 10Gbps Network, CFast Reader, and More! 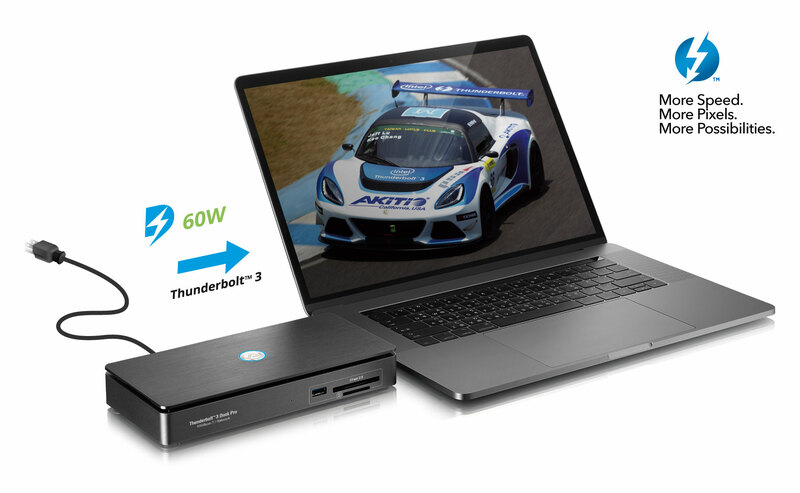 To learn more about how to use power delivery and recharge a 15" MacBook Pro, see 'Is 60W enough to recharge a 15" MBP?'. The eSATA port and the CFast reader share a single PCIe Gen 2 lane, as do the USB ports and the SD card reader. The maximum transfer rate for a single PCIe Gen 2 lane is about 370MB/s, which means that any device connected to these interfaces cannot go faster than 370 MB/s and when multiple devices are used simultaneously, the bandwidth is shared. 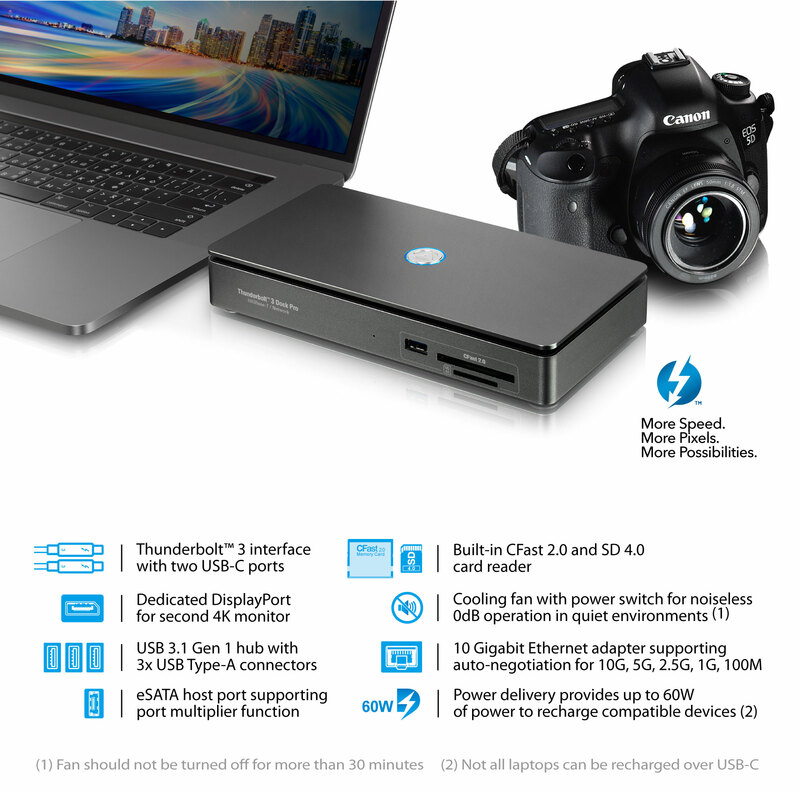 This device has to be connected to the computer via Thunderbolt 3 and it cannot be used as a NAS. The Ethernet port provides the computer with an 10GbE network connection over Thunderbolt 3 but it cannot be used to access the data on the drives over the network. [Thunder3 Dock Pro] Can I access the data on the attached USB drives over the network interface? 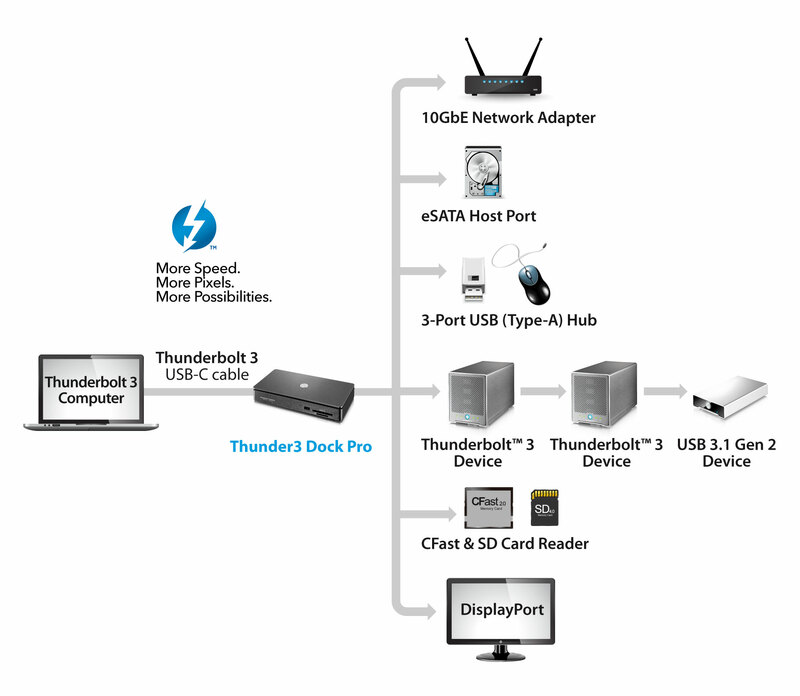 [Thunder3 Dock Pro] Does the eSATA port support port multiplier?